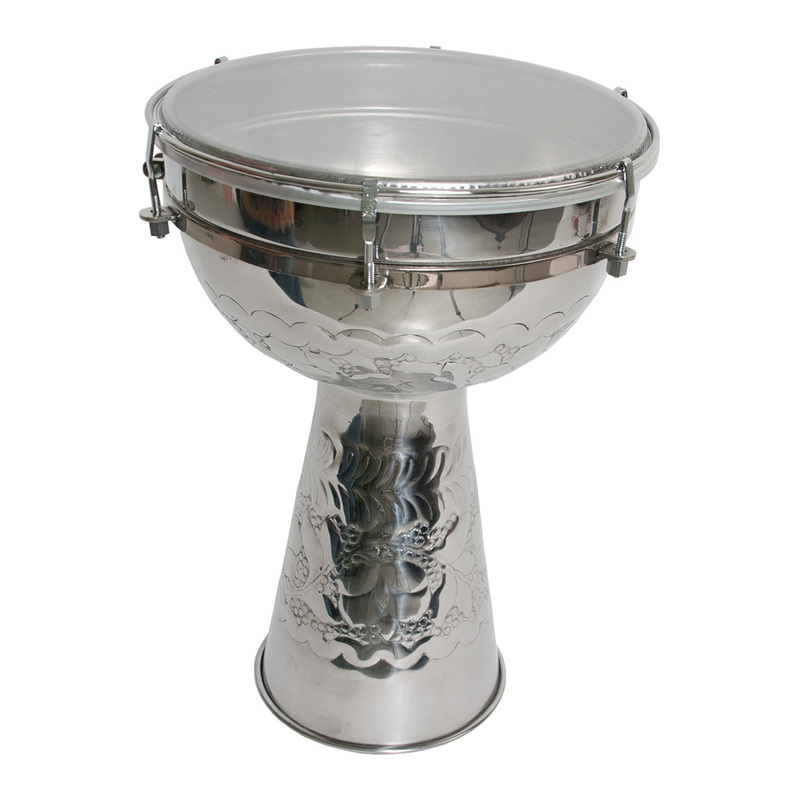 Mid-East 15 Inch Doumbek Nickel Plated Brass Synthetic Head. Nickeled brass doumbek. Embossed with floral patterns. Tunable with bolts. Comes with a clear or opaque synthetic head. Includes tuning wrench. Other styles of head sold separately.